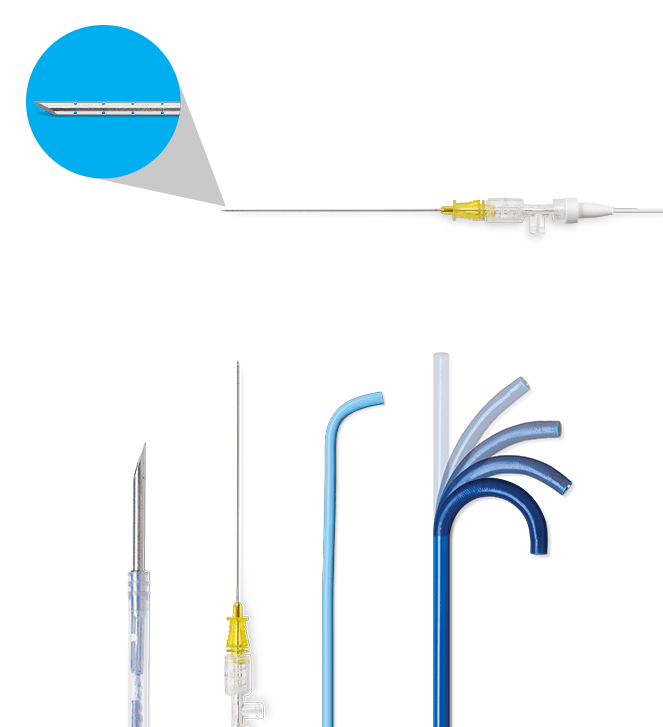 Dye injections and hook wires can be integral to guiding successful treatment. 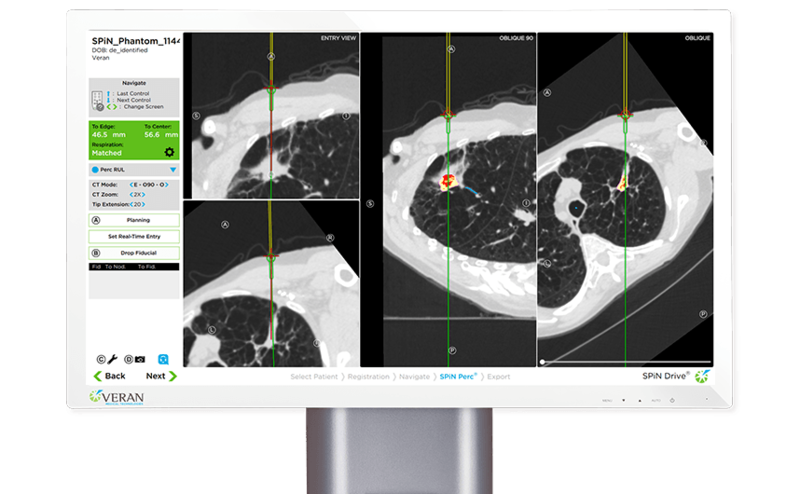 By enabling an endobronchial and percutaneous approach in the same procedure, the SPiN System™ gives you the flexibility you need to switch your strategy and accurately localize targets—even when no bronchus sign is present. Before surgical resection, physicians need certainty around lesion location. The SPiN System™provides precision guidance for dye injection and hook wires. 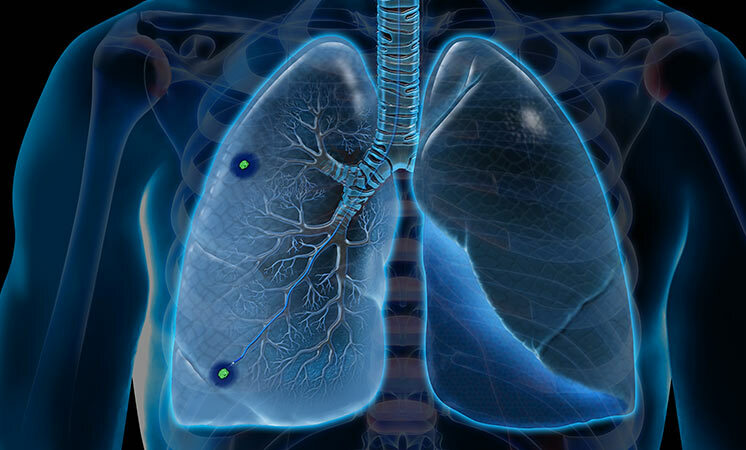 Exclusive Always-On Tip Tracked® Instruments provide navigation during localization via endobronchial or transthoracic approaches. The SPiN Perc™ Localization Needles enable you to maintain visualization of the instrument throughout the entire procedure—even during dye marker injection. 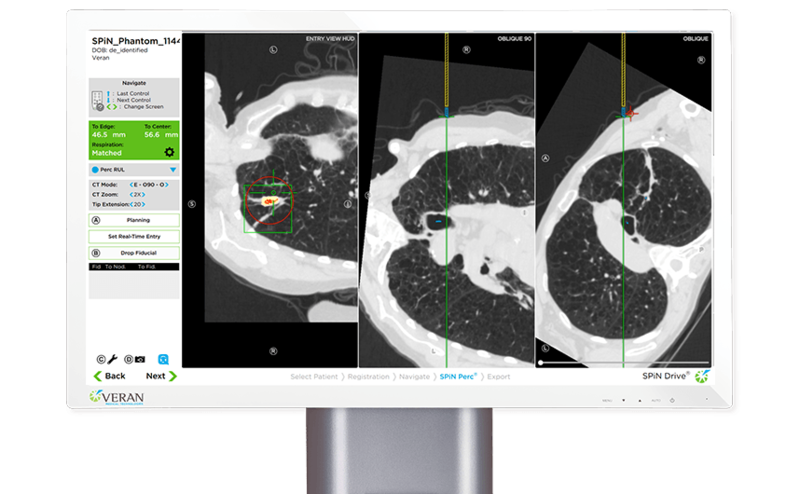 Precisely mark ground glass and small nodules with real-time navigation guidance. Localize nodules percutaneously in the OR immediately before resection. Laser etched holes in the sides of the SPiN Perc™ Localization Needle provide precise localization of 1cm or 2cm zones.